As I climbed up the steep cobbled path to the ancient Sicilian church, resting on its rock by the sea, I didn’t expect to encounter a haloed pelican inside. But there she was, a glowing mosaic at the front of the altar: wings slightly spread, neck arched gracefully over three young who were begging with open beaks. Her halo and her backdrop shone with tiny gold squares. Looking more closely at her breast, I could see chips of red among the delicate aqua and white glass squares. What was she doing here, shining like a beacon in this baroque-looking 16th-century Catholic church replete with life-sized crucifixes and saints? The images here in Chiesa di San Giuseppe struck me as unusually kind ones. A life-sized statue of Joseph with his lily-topped staff, holding 6-year-old Jesus by the hand as he listens affectionately to the boy’s stories. Mary in an earthen grotto, beaming as she received the news of the gift of life within her. Jesus leaning with concern over Lazarus, who is dying on a bed with loved ones around him. So a pelican feeding its young seemed in tune with the loving images in the rest of the church. And Lipari has long been a fishermen’s town, probably for all of its 7000 years, so its people would have admired the bird’s exquisite fishing skills. Still, I was surprised to see a bird so prominently displayed: her gold setting shone like a beacon in the church’s dim light. Why was she here? 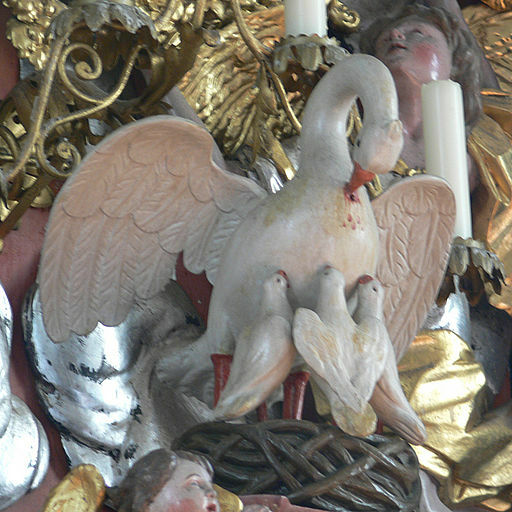 The “Pious Pelican,” it turns out, is one of the major avian symbols in Christianity. Another bird, the dove, is much more familiar to me as a symbol of the Holy Spirit. 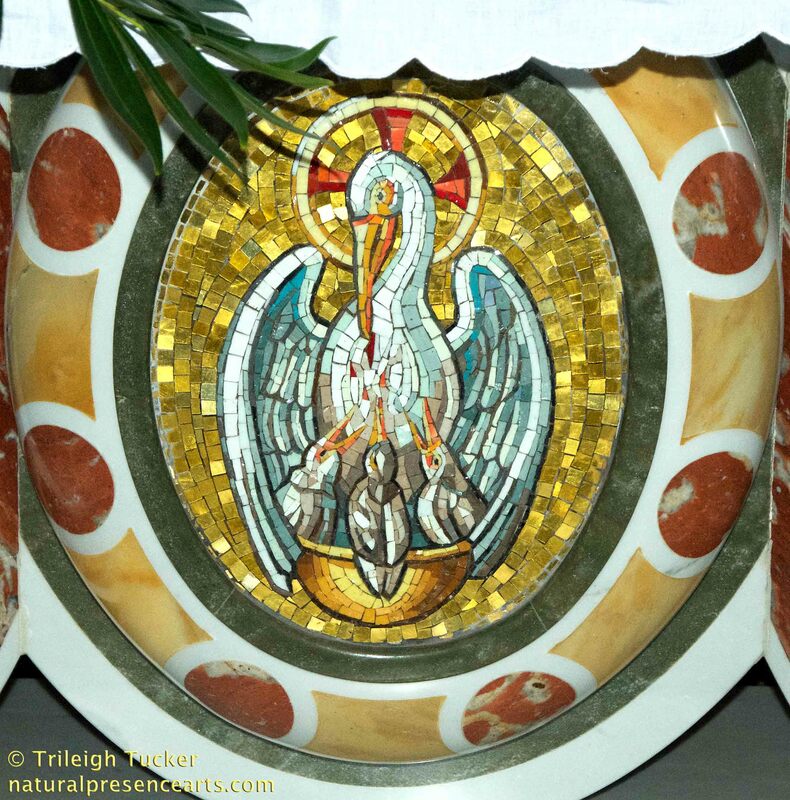 But the pelican has widely been used as a metaphor for Christ since about the second century AD. Pelican in her Piety. 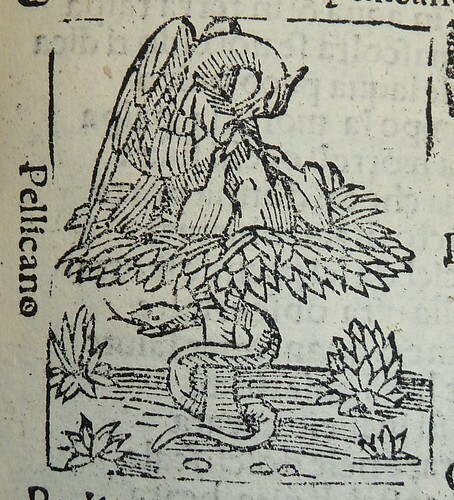 Woodcut by Cecco d’Ascoli (1269–1327). Click here for further info/permissions. Totum mundum qui ab omni scelere. All the universe from its iniquity. 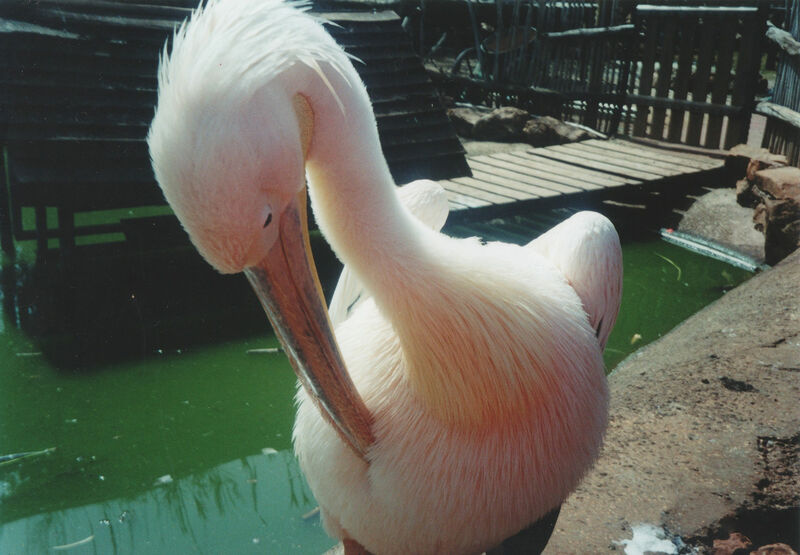 Great White Pelican preening. Photo by Eviatar Bach (Own work) [CC0], via Wikimedia Commons. 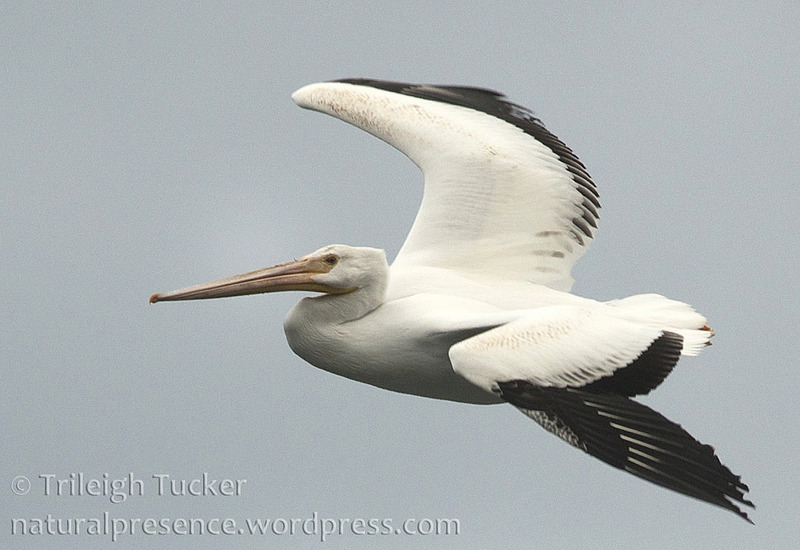 Great White Pelican – note red tip of beak. 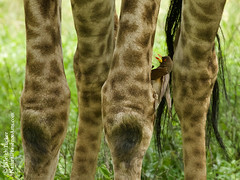 Photo by Frank Vassen [CC BY 2.0 (http://creativecommons.org/licenses/by/2.0)%5D, via Wikimedia Commons. Finally, when a pelican feeds his young, he may flatten his beak against his chest to promote the regurgitation process—looking like he was poking his breast for blood. Whatever the source of the symbol, it’s clear that pelican parents sacrifice themselves for their young. They share nest-tending duties and spend lots of energy catching food for their chicks. They literally open themselves up to nurture their babies: as the young grow bigger, they’re able to reach far back into their parent’s beak to grab the goodies. Sometimes the babies are so persistent that hints that dinnertime’s over don’t work—meaning the pelican has to shake her head hard to dislodge the hungry beggar from her throat, literally knocking it off its feet. Parents put up with a lot. But it’s worth it. A few winters ago, I had pushed myself to get out for a walk in my park even though the weather was dreary and soggy. I was coming to the end of my loop, and as I shivered in the dusk’s chilly air, I thought how good it was going to feel to come into my warm hobbity home just a few minutes’ walk away. I stood overlooking Puget Sound for a moment before turning into my street, when puffing up the steep trail from the beach came a ridiculously fit-looking runner. Seeing my binoculars, he asked me if I’d seen any interesting birds. No way, I thought, we don’t get pelicans here. Like me when I was just starting birding, novice birders can sometimes think they’re seeing rarities when really it’s just a normal bird, perhaps in unusual light, or juvenile, or molting. Perhaps this was a gull fluffing its feathers, looking large in the dim light. When I asked politely if he were sure of what he’d seen, he laughed and reassured me that it was definitely a pelican. I sighed. On the off chance that he was right, I was going to have to haul myself and my gear back down to the beach just in case, then trudge back up again when there was no pelican. I thanked him for the tip and headed down the wet trail. At the beach, the light was fading fast. Bracing myself against the stiff wind, I scanned with my binoculars. And to my amazement, there it was: an American White Pelican, far outside its regular range, flying up and down along the beach, occasionally plunging into the cold water for fish. Would he still be here in the morning, when I could hope for good photos? Yes! 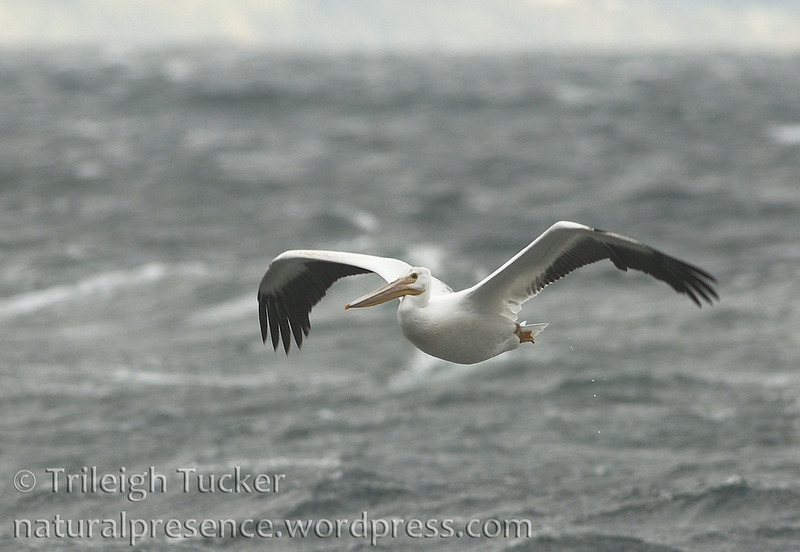 In the brighter light, and yet stiffer wind, the pelican shone like a beacon against the rocking, whitecapped water. Looking more closely, I could see the red tip on her beak. I alerted the birding community, and soon I was getting texts asking where the pelican was now, and now. The birding website eBird shows that an American White Pelican (presumably this one) was sighted occasionally around Puget Sound for the remainder of that month, but then not again—until this year. Suddenly we’re getting lots of white pelicans all over Puget Sound. Why? Oregon Public Broadcasting’s Katie Campbell reports that these birds may be climate refugees. Their usual freshwater nesting sites in eastern Oregon and Washington are experiencing drought, shrinking the inland lakes they depend on for security from predators. The white pelicans are failing in their efforts to be the good parents that the ancient Christian symbols show they’ve always been. And they’re apparently hoping that perhaps the Puget Sound area, even with all of its human disturbances, may provide a manger when there’s no room back at the climate-changed inn. Like a visiting white-winged angel, the rare pelican brought a message from beyond our local world. She and her fellow refugees need our help. Not gold, frankincense, and myrrh: but perhaps bold, frank incentives to slow climate change—and a bit of mirth to keep our own spirits buoyant and resilient. At this darkest time of year, the pious pelican remains a beacon in the dim light. The hope of Christmas will soon face a challenging New Year. Can we find it in ourselves to pierce our breasts for our family, shedding five drops of our own blood—five personal practices to help reduce climate change this coming year? Can we make this small sacrifice to feed not only our own children, but those of the herald pelican and all her fellow birds? Let us hope so. 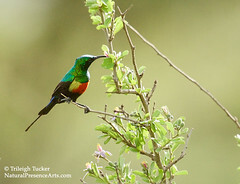 These white-winged wonders are worth it. Pelican piercing her breast to feed her young. 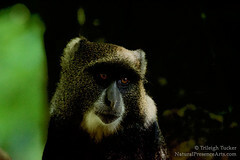 Photo by Andreas Praefcke via Wikimedia Commons. Click here for attribution/permissions. P.S. – Good news! In comments below, my friend Véronique Robigou, naturalist and artist extraordinare, points out a Seattle Times article by Annette Cary, which came out just as I was finishing up this post. 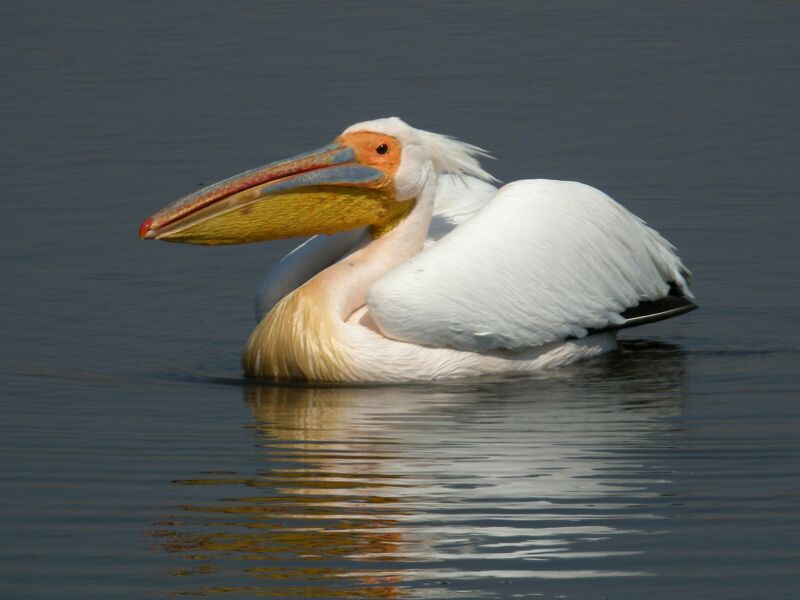 Cary reports that on Badger Island in Washington’s Columbia River, our state’s only American White Pelican nesting area, the pelicans seem to be rebounding. So we can start 2017 with a cheer of good hope for our avian angels! Creche of young American White Pelicans. Photo by USFWS Mountain-Prairie, via Wikimedia Commons. Click here for link and permissions. 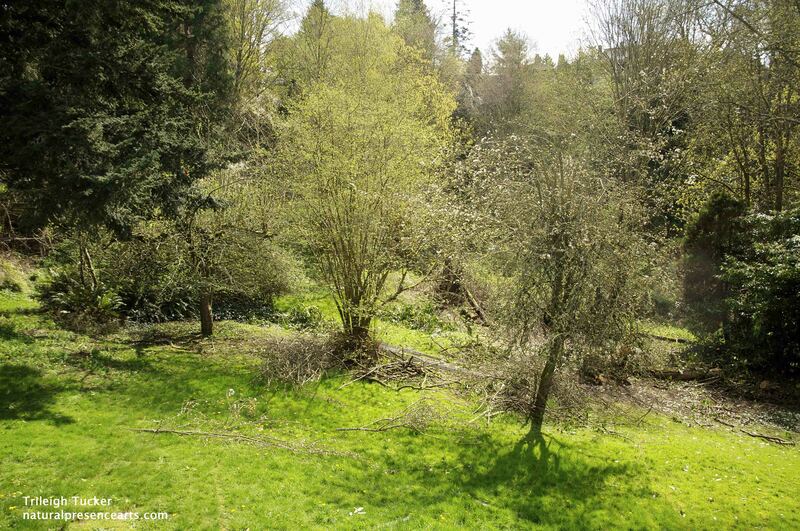 For the past few weeks, Rob’s been spending his weekend days clearing the immense nonnative laurel trees from our new back yard, opening up their shadowed land to light it hasn’t seen in decades. We can now see from our living room and deck all the way into the adjacent protected wetland.